An awesome travel blogger who will blow your mind! As I have enjoyed being a guest blogger a number of times, I decided to start a feature on my blog and share some interesting people with you my interesting readers. I post these every Tuesday. Everyone has a story to tell. Yes, even you! So what I’ve done is invite my guests to answer a set of 10 questions and I used their responses as a guest post while I was away recently. Even though I’m now home, I’ve got so many more interesting people to share, I figured I’d continue on. It’s a great way to share the love around and introduce interesting people to other interesting people. My guest posts continued with interesting people including my blogging friends Donna from Retirement Reflections; Louise The Year I touched my Toes; Miriam from Outanabout and Shaun from Clockwork Clouds. This week it’s time to meet Sue from Travel Tales of Life. I’ve followed Sue for ages now and love her and husband Dave’s blog about their many adventures. They do things I only dream about!! The greatest love and the biggest surprise of blogging are the friends we have made both virtually and in person around the world. I have always loved writing but the unexpected joy of spending time with people from Tasmania to Italy, Turkey to the United Arab Emirates has been the greatest enjoyment. Our world has grown in ways we never would have imagined. 2. Your blog is about your Travels– where did the description come from? To be honest the blog was an accidental happening. In 2009 we went on our first international cycling trip to Italy. My Mom and several friends had asked that I send email updates about the adventure. With each new mailing others asked to be added to the group email list. The email stories went on for three years of travel. I finally succumbed to the demands of that audience to start a blog, albeit kicking and screaming about how much I would never like it. I still laugh at the thought of it now. The blog truly is an open door to possibility. Since our theme is ‘Never Too Old To Explore’, we are always on the look for adventure and new experiences. It keeps us thinking young and definitely provides for interesting dinner conversation. In January we will be cycling through Thailand, Cambodia and Vietnam. If we Canadians don’t melt in the heat and humidity it should make interesting reading. With over 400 posts on the blog I find this a highly challenging question. Although it is not fitting our travel adventure theme specifically, the series of posts on the sponsorship of a Syrian refugee family in Canada and them becoming self-sufficient is very special to us. I’m also very fond of the post Dave wrote on surviving being married to a blogger. Hilarious! Seeing our adult children happy, healthy and settled with life partners. Parenting has felt like spending decades painting a mural and then one day stepping back and seeing a beautiful picture. The fact that they still want to spend time with us is an added bonus. As a parent I don’t feel as though their happiness is my achievement but I would like to think raising them with values of kindness and acceptance to all peoples of this world is a job well worth committing to. Our toddler granddaughter wins the prize for favourite activity. Who knew a little person could make your heart flip flop around like an excited fish just with the flash of her wee grin. Besides her bright light in our lives blogging seems to be woven into a great deal of what we love to do. Cycling, hiking, snowshoeing, skiing, photography all seem to meander their way back to the blog. I’m a huge fan of Bill Bryson and read his books long before I ever considered travel writing myself. With a rather diverse taste in reading and what seems to be a short attention span this is the current stack on my bedside table. The Kitchen House by Kathleen Grissom, On Writing by Stephen King, Eligible by Curtis Sittenfeld and Notes from a Small Island by Bill Bryson. Without question it is Antarctica with my husband. He will need to be there to help me deal with the motion sickness from being on a ship for an extended period. Not to mention my issues with cold temperatures. Doesn’t sounds like a dream holiday does it? However the story of Ernest Shackleton and his crew’s survival has long been inspiring to me. The adventure of such a remote location is a challenge I can not resist. Besides that the thousands of penguins make me squeal with glee at the prospect. I’ve taken this question as to what five items I take travelling. I’m such a minimalist I likely don’t have five items when I walk out the door day to day. Without question my phone is always a number one priority. With apps for off line maps, password storage, used as an e-reader and social media platforms the phone wins first place. A large multicoloured lightweight scarf can be everything from a blanket on a plane to a sun shield on a kayaking trip. Come dinner time it can be tied differently to create multiple outfits. To be honest I pack two. A functional travel purse with locking compartments is always over my shoulder. Mine is large enough to hold a small laptop if needed. Although I wouldn’t suggest packing a roll, having a bit of duct tape can be a saviour. When my one of my shoes fell apart in Istanbul it was duct tape to the rescue. Thinking about this question I imagine myself standing in a massive fruit and vegetable market. Which is the most colourful vegetable? What is the tastiest fruit? I have found that in life people are so different they are difficult to compare. Would it be the young guide touring us through his home of the Soweto township in South Africa? The woman in rural Turkey who insisted we share the tomatoes from her meagre supply of food? The aged man on Taquile Island in the middle of Lake Titicaca with the toothless grin and warm handshake? Or is it the person we will meet on our next adventure? You can read more about Sue and Dave’s Adventures on Travel Tales of Life. You can also follow their adventures on Facebook, Instagram, Twitter and Pinterest. Thanks Sue for your responses to my questions and for agreeing to be a guest host in my People of Interest series. I learnt a lot from Sue’s answers, although she’s been a favourite of mine for years. I feel like I could rock up to Canada one day and pop in for a chat with Sue and Dave, we have lots in common, especially the attitude of never being too old to explore. They are fun, active and adventurous but also very generous in their comments and support of other bloggers. 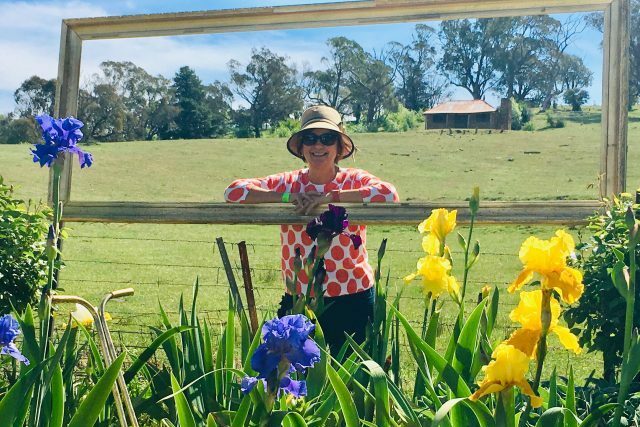 Sue’s mum Shirley has also started guest posting on their blog and it’s lovely to read her thoughts of her travels from over the years. I encourage you to pop over to their blog and check it out. Sue and I would love to hear your thoughts on her post, so feel free to leave us a comment below and we’ll be sure to respond. So there you have it – another Person of Interest! I have another great blogger for you to meet – stay tuned for next Tuesday’s post. If you would like to join in on the fun, why not take one the questions (e.g. What are five things that you won’t leave home without?) and leave your own answer in the comment section below. I’d love to hear your thoughts! My pleasure to have you on my blog Sue. I have the utmost respect for you and can’t wait until we can actually meet in person. I’m sure we could manage to find a few things to chat about!! Fun to learn more about you in this interview, Sue! I always enjoy your and Dave’s blog. I can live vicariously through you guys, and sometimes I’ve even visited the same places! I definitely couldn’t travel without my phone. Probably my iPad too. It’s amazing how reliant we are on our technology. Thanks for your comment Carrie, I’m with you in travelling vicariously through Sue and Dave’s adventures. I first came across Sue when I was planning a cycling trip to Croatia so it was great to connect with likeminded people. We recently went to New Zealand and I forgot my iPad! I was devastated but you know what, I coped ok without it, surprising even myself. 😊 thanks again for visiting. Carrie always a pleasure to chat with you and glad to know you are a follower of Deb’s too. As to the technology well I wouldn’t have been able to read your book on our way to and from Africa without it. Perhaps your other book will get me to Asia in January! I just discovered Deb through your post here (saw it on Facebook). Happy to discover another traveler I can live vicariously through! Aw, thank you. They’re medical thrillers, so they’re not for everyone, but you’re kind to say. I’ve already been across there Deb and you’re right, their blog is amazing. Miriam thanks so much for your warm welcome to Deb’s blog. We do our best to live every day fully as one never knows what tomorrow brings. As I write Dave is driving and the Canadian Rockies covered in snow are greeting us for a day of downhill skiing. Looking forward to chatting more with you. Hoping you will come to visit sometime soon. The Canadian Rockies really are stunning. Meanwhile looking forward to more chatting albeit on line. I was fortunate to meet Sue and Dave on their most recent visit to Las Vegas. They are a great couple, very warm and friendly. I’m just a bit disappointed that I was not named as the most interesting person they’ve ever met! South Africa, Turkey, Lake Titicaca? I live in Law Vegas and I know I’m interesting, although my wife might not agree! An interesting interview, Debbie. My first introduction to Sue. I need to read more of her adventures and easy style of writing. Thanks Kathleen, Sue and Dave are very interesting bloggers. I agree Sue has a very easy style of writing which makes her posts welcoming and interesting. Hi Deb thanks so much for introducing Sue and Dave to us. I love travelling and found her answers interesting plus we have much in common apart from the love of travel. I look forward to following Sue’s blog. That is what I love about these guest posts. We get to meet people who we may not have known about so thanks again to you both for a delightful article. #overthemoon. You’ll love them Sue, so full of get up and go and just plain fun! I’m so glad to share my friends with you all. Inspirational for young travel bloggers like me..